FIGURE 2.6. 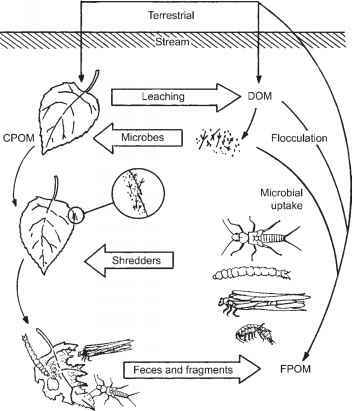 Schematic representation of the positive and negative direct and indirect effects of root exudates on plant growth (from Jones et al., 2003). 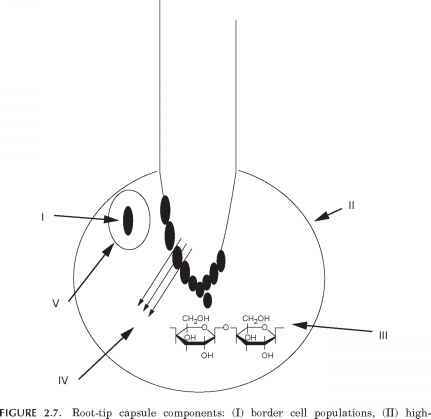 molecular-weight mucilage secreted by the root cap, (III) cell-wall breakdown products resulting from separation of thousands of border cells from each other and the root cap, (IV) other extracellular products secreted by the cap, (V) other extracellular products secreted by the border cells (from Farrar et al., 2003). 1999; Robinson and Scrimgeour, 1995). Isotope methods have a significant advantage over the component integration and root exclusion methods because they permit researchers to partition carbon between rhizosphere respiration and SOM decomposition in situ, thus avoiding the effects of soil disturbance.